The Ultimate Precision Hand Proofer for Color Matching & Coatings! Use the Phantom Viscous System when working with thick metallic and or thick UV inks. Anilox rollss are engraved at a 30° Hex angle. All Phantom Viscous systems are available with 1, 3, or 6 single line screen or banded standard viscous anilox rolls. Select the anilox rollers from the list below. Call (800) 438-3111 US/Canada or (704) 588-3371 International. In order to keep your Harper proofer system functioning at peak performance, Harper Corporation of America strongly recommends a periodic preventative maintenance program to inspect all parts and determine if your proofer system requires replacement of any parts showing signs of wear and tear due to normal use. Other general repairs and/or proofer adjustments may be required to keep the proofing equipment functioning properly. Click here to learn more. 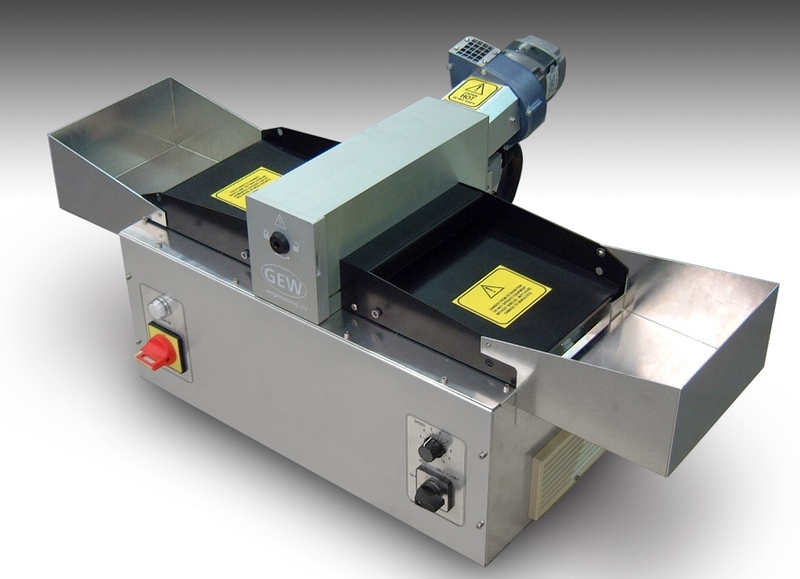 The GEW UV Curing Mini Laboratory Unit. View Product Specification Flyer under Literature Tab for additional information.